Physician well-being is getting a lot of well-deserved attention these days. Its antithesis, physician burnout, saps physicians of their spirit, humanity, and effectiveness as healers. I have previously asserted that the best protection against burnout is for physicians to collectively shape how care is delivered, assuring that it is both effective (works for patients) and consistent with professional standards (works for doctors). I still think that is true, but I also want to put in a plug for unplugging. 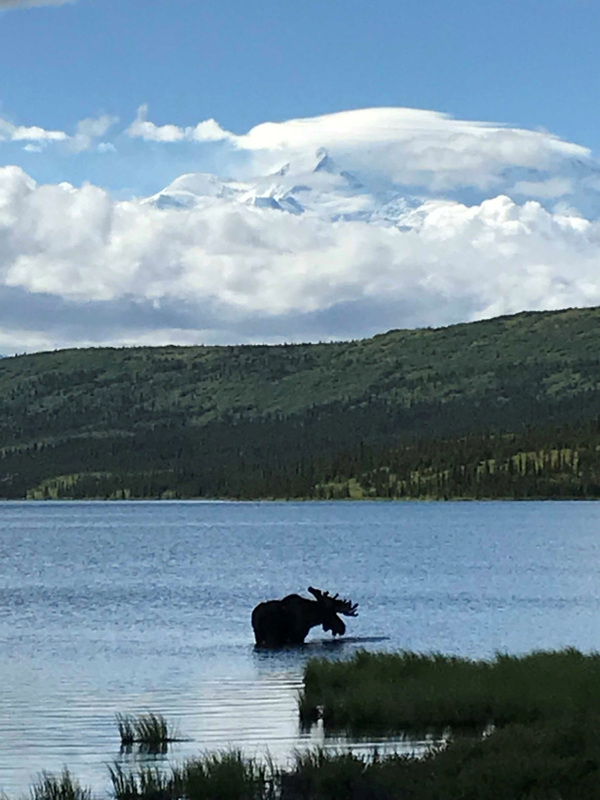 I recently had the pleasure of “going off the grid” for a bit while enjoying a fabulous vacation in Alaska. Absent a brief period of connectivity in the middle of the trip, I was without cell service or Wi-Fi for the better part of two weeks. It was wonderful! I had underestimated, or maybe never fully considered, just how restorative it would be to be untethered to my phone, email, work, news, politics and all the rest of the digital onslaught for days at a time. I kept a journal while I was away, and it is full of words like “relaxed,” “content,” “wonder,” and “beauty.” Certainly the natural grandeur of Glacier Bay and Denali National Parks (see my “moose shot” below) had something to do with it, but I also believe that the withdrawal of all the “other stuff” was just as magical. My (not very novel) conclusion? It is good for the soul to turn off and tune out every once and a while. This is, of course, a familiar strategy to Sabbath-observers, meditators, or anyone who goes for a hike in the woods on a Sunday afternoon. It is not a cure for what ails physicians and the practice of medicine, but I think it is a healthy practice that we should all engage in. Ira S. Nash, MD, FACP, is the senior vice president and executive director of Northwell Health Physician Partners, and a professor of cardiology and professor of occupational medicine, epidemiology, and prevention at the Donald and Barbara Zucker School of Medicine at Hofstra/Northwell. He is board certified in internal medicine and cardiovascular diseases and was in the private practice of cardiology before joining the full-time faculty of Massachusetts General Hospital. He then held a number of senior positions at Mount Sinai Medical Center prior to joining Northwell Health. He is married with two daughters and enjoys cars, reading biographies, and histories, and following his favorite baseball team, the New York Yankees, when not practicing medicine. This post originally appeared at his blog, Ausculation.